This study is focused on the affordability of renting for working households where almost 75% of private renters work full or part time (English Housing Survey 2016/17). The analysis tracks the average rent for a 1-3 bed property over time and expresses this as a percentage of average weekly net earnings for a single full-time worker. The analysis finds that over the long run rents track the growth in average earnings. At a national level rents have ranged between 28% and 32% of average earnings across the last decade. The current proportion of earnings spent on rent is 30%, exactly in line with the long run average. There are wide regional variations in rental affordability, a result of different levels of rental growth. Rents and rental growth are influenced by a range of factors including migration, employment growth and the relative affordability of home ownership. Rents have grown the most since 2007 in the East of England (23%) and the West Midlands (20%). London and the South East have the highest absolute average rents, and both have registered rental growth of 18% since 2007 with growth weakening in the last 2 years. In contrast rents have grown by just 1%, 5% and 9% in the North East, North West and Yorkshire and the Humber regions since 2007. Weak rental growth means private rents in the northern regions of England are the most affordable in a decade, averaging between 25-27% of the average full-time regional wage. The impetus for rental growth has been constrained by weaker employment growth and lower barriers for renters to access home ownership e.g. deposits. Rents in London grew rapidly up until 2014 as employment levels expanded and in-migration increased but rental levels have subsequently stagnated. Average rents in London today are on a par with rent levels in 2014. This is a result of weaker employment growth, lower levels of in-migration and stretched affordability limiting what tenants can afford to pay on rent. Rental affordability in London peaked in 2017 at 43% of average earnings and has fallen back to 39%, in line with the long run average for the region. The proportion of earnings spent on rent reached close to 35% in South East and East of England in 2018, close to a 10 -year high. Stretched affordability has limited rental growth and affordability has improved in these two regions over 2018. The Zoopla analysis is based on a single earner with a modest adjustment for the fact more than one income is used to service rental costs. In the more expensive and desirable markets there is evidence that renters are prepared to share to live in more desirable locations. This makes tracking rental affordability more complex. The report highlights that if we assume 2 earners per rented home this would reduce the rental affordability measure from 39% to 25% of average net earnings. Richard Donnell, Research and Insight Director, at Zoopla, commented: “The private rental market is a complex and diverse tenure which has been the focus of a growing number of policy changes with further changes being proposed. 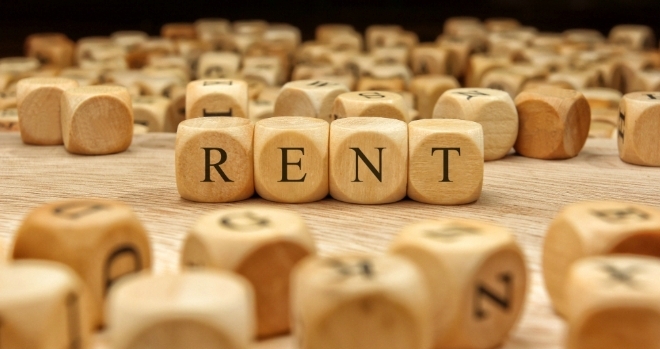 The reality in the rental market is that landlords are ‘rent takers’, having to accept what renters in the market are able and can afford to spend. Just like the sales market there is no single UK rental market. Rents have not increased rapidly in all markets. Our analysis shows a wide variation in rental growth over the last decade which creates a varied picture for the affordability of renting. In London and southern regions of England rental affordability has become stretched and this has acted to limit the growth in rents and resulted in a modest improvement in rental affordability. Rental growth is set to remain subdued in the near term but the underlying demand for renting is set to remain robust largely a result of the high cost of home ownership, in terms of deposits and income required to buy. An under researched part of the market is the level to which greater sharing of property has contributed to higher rents, particularly in inner London, which makes accurate assessments of the affordability of renting more complex. Weaker new investment by private landlords means slower growth in new rental supply which also supports overall rent levels. In London there are localised concentrations of new build supply where availability of high-quality rental supply will increase in 2019, boosting choice for renters. In northern regions of England, rents are their most affordable for a decade as rental growth has fallen well short of the growth in average earnings. This does not automatically mean rents are set to rise. The growth in rents is dependent upon growth in employment. The lower cost of accessing home ownership means it is easier for renters to shift into home ownership than in regions with high house prices and this keeps rental growth in check. At a national level the proportion of earnings spent on rent has remained relatively stable over the long run. This is to be expected as renters can only allocate a certain amount of earnings on rental payments. This relationship between rents and earnings is an important attraction for new corporate investors entering the market and developing so-called build to rent developments.